When a competitor claims their product can edit 'huge files', in many cases this means 4Gb or sometimes even less. Not so with FlexHEX. 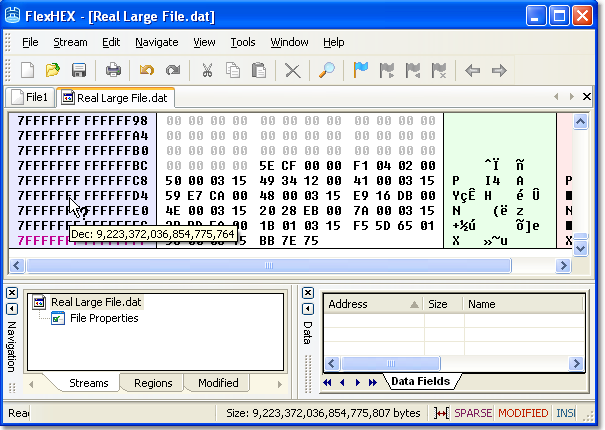 Large file means genuine large file, up to eight exabytes long. Simply put, no matter how large your file is, FlexHEX will handle it.